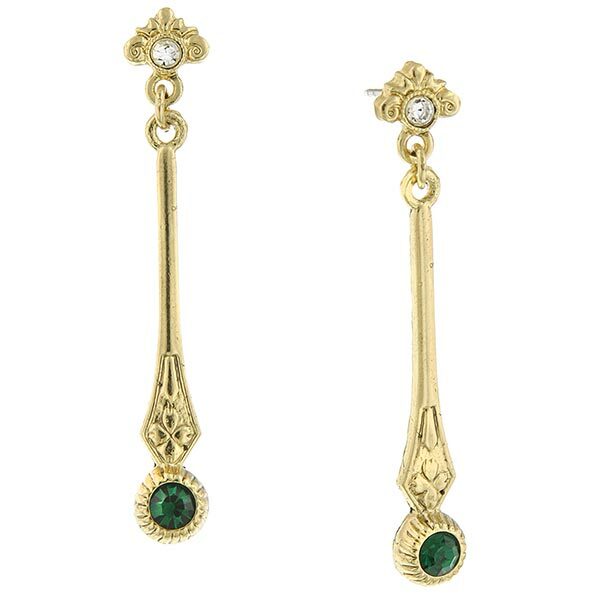 Be inspired by the ladies of Downton Abbey® with these lovely linear drop earrings. These sleek polished gold post earrings sparkle and shine forth brilliant color with emerald and white diamond Czech crystal accents. Presented on a Downton Abbey-themed card. Allow 3 weeks. 1.8"L x 0.3"W. Made in U.S.A. Nickel Free Item can only be shipped within the Continental US.